Competition in the budget 3G voice-calling tablet segment heats up as Celkon launches the CT 888 3G Tab. Celkon has introduced a 3G voice-calling tablet called the CT 888 3G Tab. Available online for Rs. 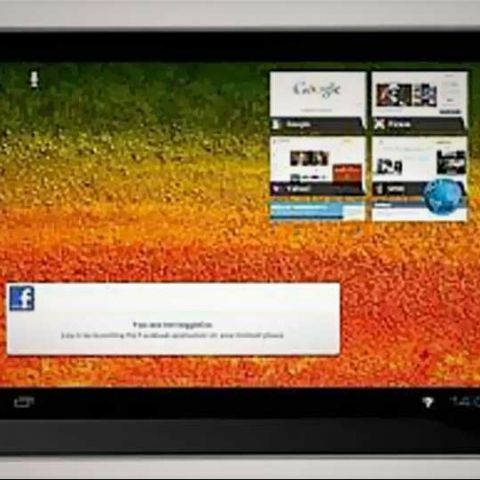 7,999, the tablet runs Android 4.0.4 ICS and is powered by a 1.2 GHz dual-core processor. The Celkon CT 888 3G Tab has a 7-inch capacitive touchscreen with 1024 x 600 pixels resolution. It has 2MP rear and 0.3MP front camera. The tablet has 4GB internal storage and expandable storage capacity up to 32GB via microSD. It has 512MB of RAM and powered by a 3,500mAh battery. For connectivity, the tablet supports SIM, Wi-Fi, Bluetooth, USB, 3G, 2G and GPS. The CT 888 3G Tab comes pre-loaded with various apps including Google Play store and YouTube. 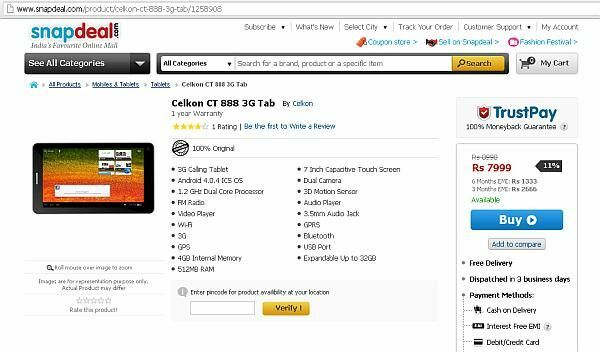 The Celkon CT 888 3G Tab is yet another voice calling budget tablet in the market and will compete against the likes of Salora Fontab, Videocon VT75C and HCL ME U2. Asus is also set to launch a 3G voice calling tablet, FonePad.